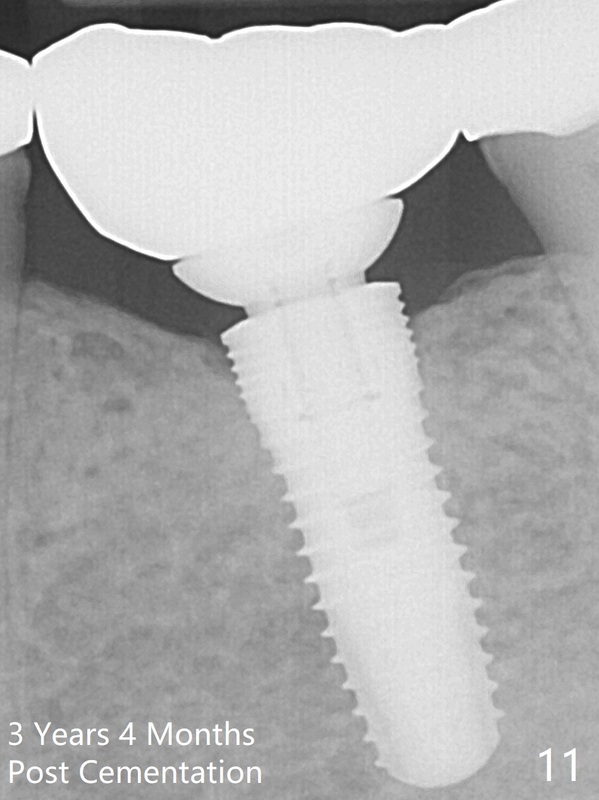 Implant placement at the site of #19 is carried out as planned. 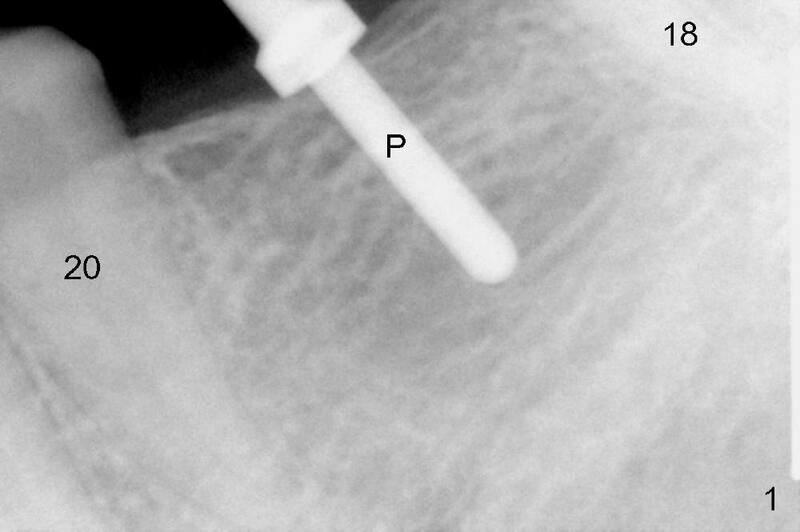 A parallel pin is placed in a 10 mm deep osteotomy (Fig.1 P). 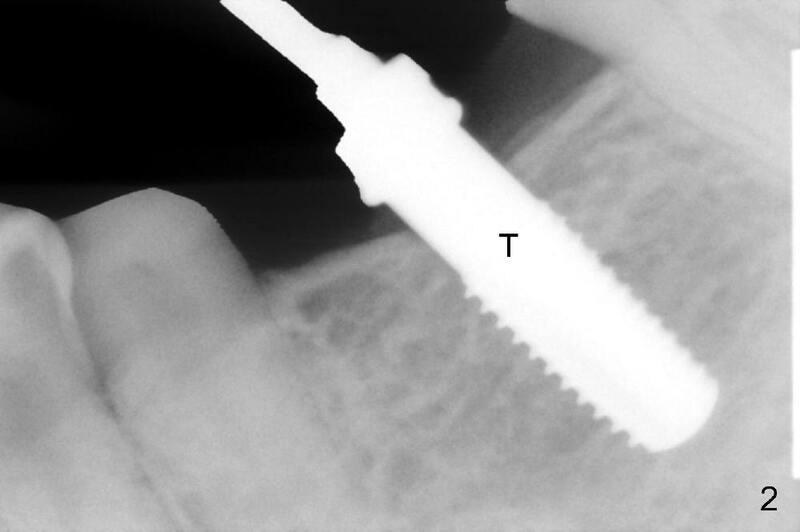 After sequential osteotomy (14 mm in depth), a 5.3 mm tap is inserted with stability (Fig.2 T). 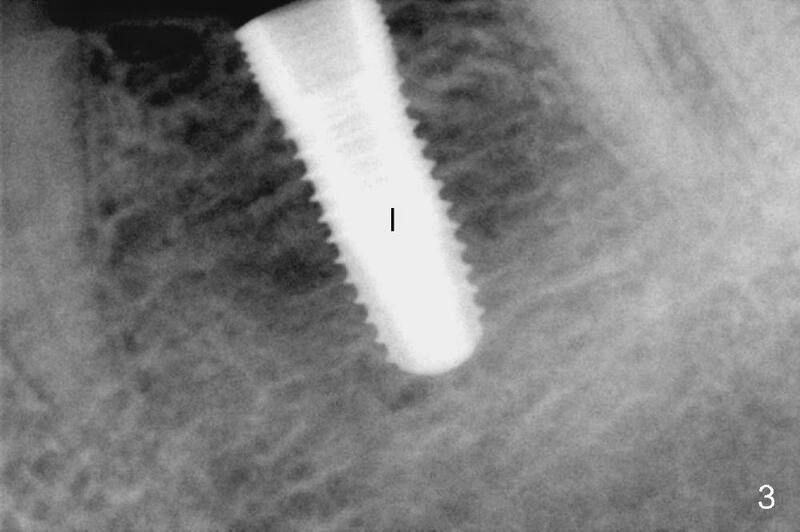 A 5.3x14 mm submerged implant is placed with insertion torque >50 Ncm (Fig.3,4). 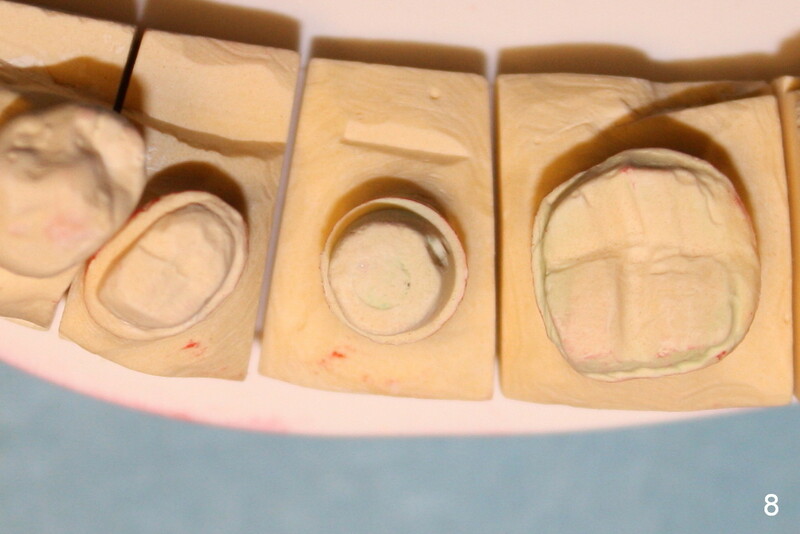 A cemented abutment is placed immediately (Fig.5 A: 6.8x4(2) mm, hand tightened). An immediate provisional bridge to be fabricated has an extra support. 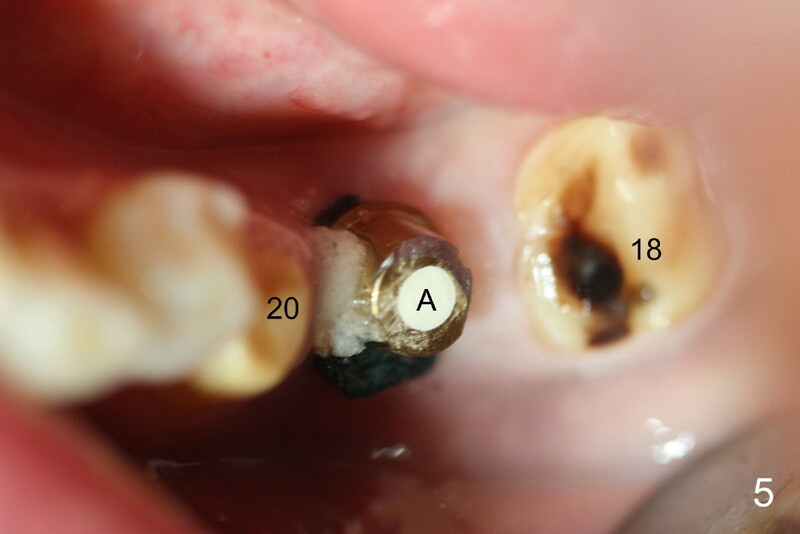 Twenty-five days postop the patient returns for recementation of the immediate provisional bridge. There is no symptom. 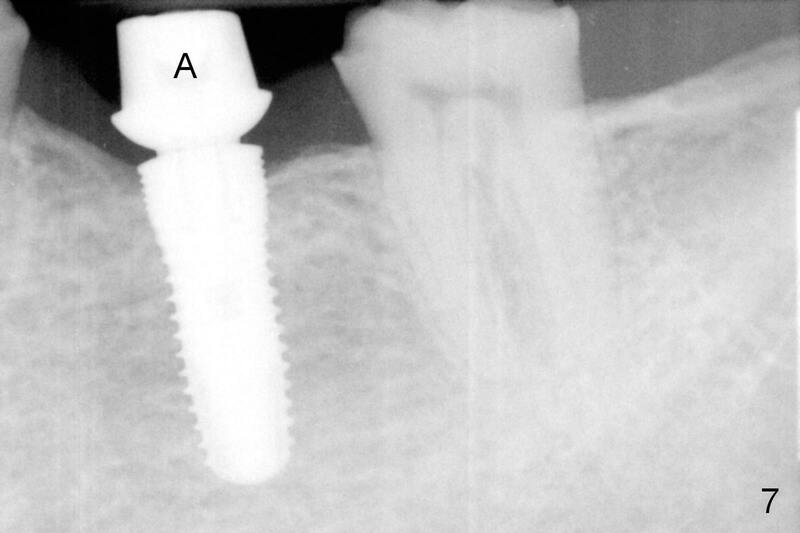 The implant is stable and the gingiva around the implant is healthy (Fig.6). 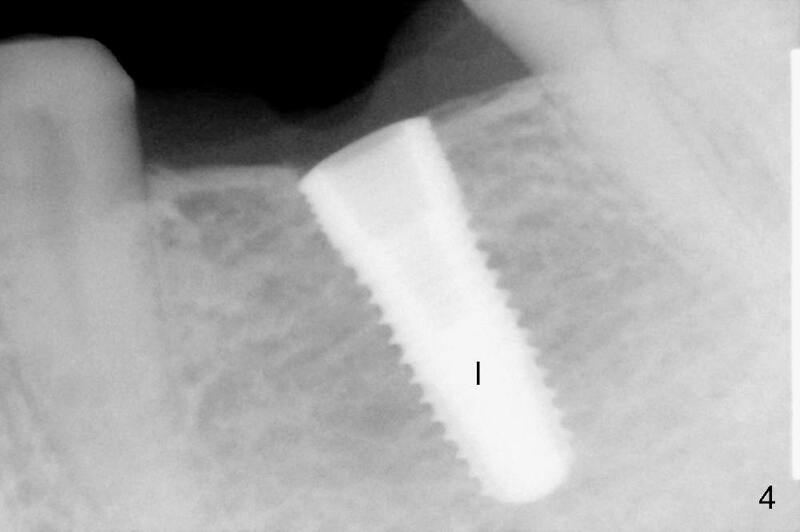 Two and a half month follow up X-ray shows minimal distal bone resorption (Fig.7). 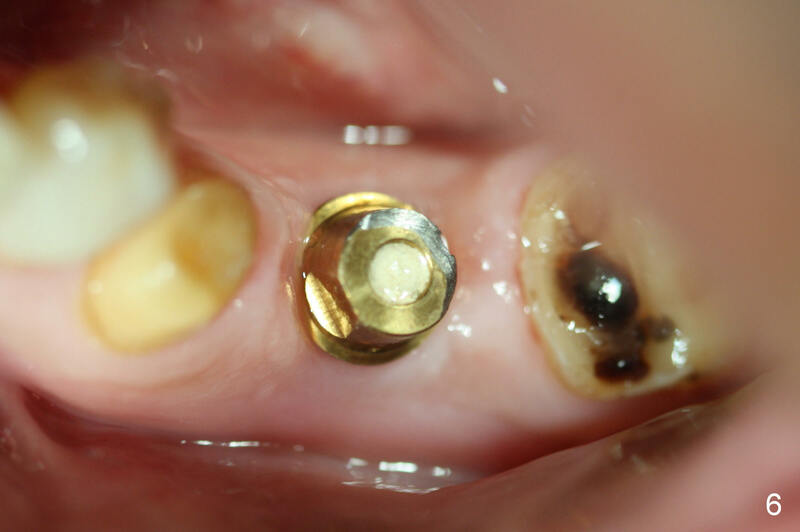 Permanent crowns are delivered 3 months postop (Fig.8). 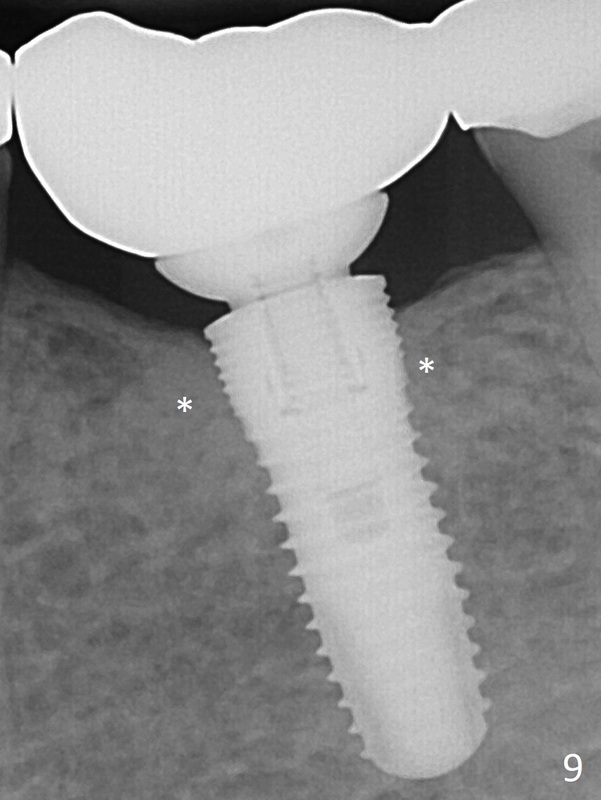 There is no further bone loss 26 months post cementation. In fact the bone density increases coronally (Fig.9 *). 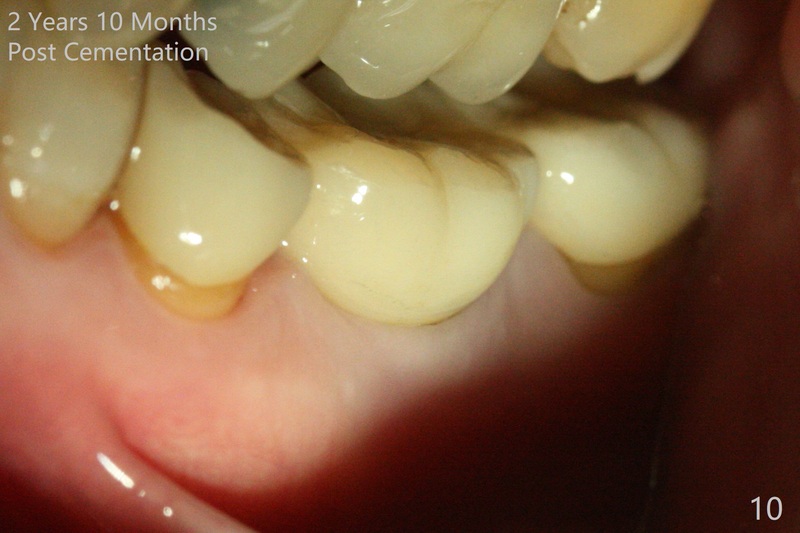 The gingiva remains healthy 2 years 10 months post cementation (Fig.10). 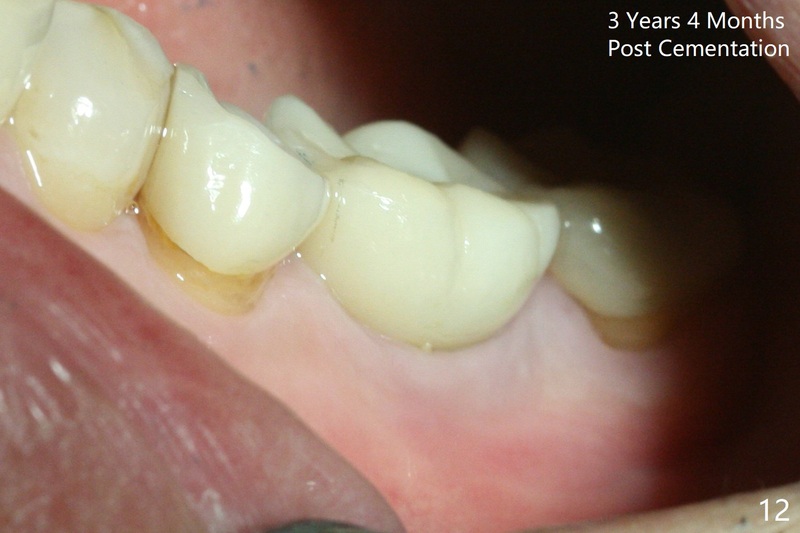 The hard and soft tissues remain healthy 3 years 4 months post cementation (Fig.11,12).